To view the Blue Wall Weekly as a web page, click here. Welcome to the Blue Wall Weekly, your source for what's going on outside along the Southern Blue Ridge Escarpment. Feel free to share your own photos, videos, and adventures along the Blue Wall by sending them to the email address at the bottom of the page, and we'll do our best to make you (locally) famous! 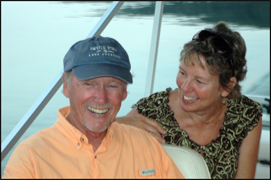 JOCASSEE VALLEY HISTORY TOUR ~ Cherokee History with Dr. Dave LaVere Book Now! FLOWER POWER TOUR Book Now! SUNSET TOURS RETURN! Book Now! 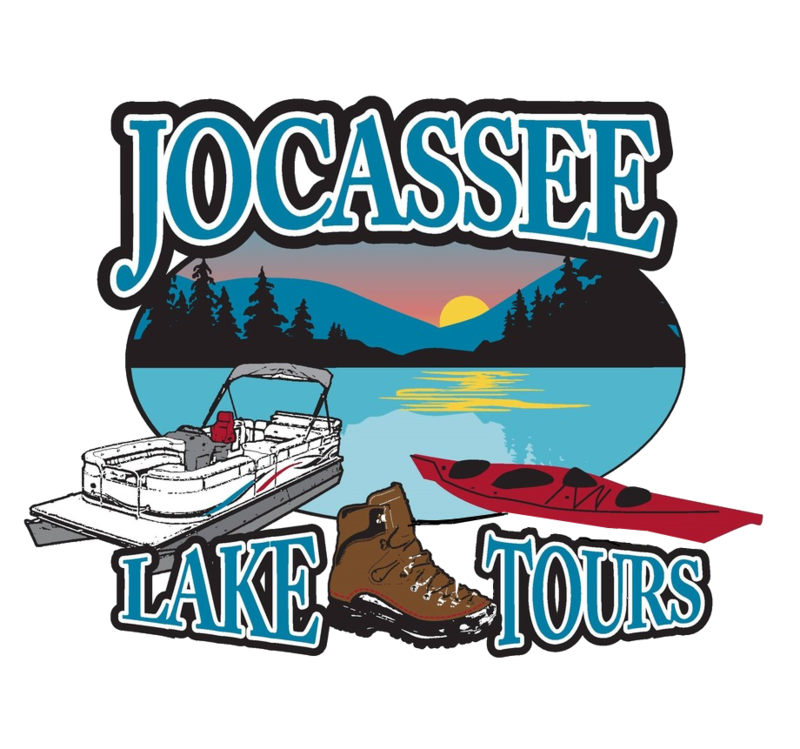 BOOK A PRIVATE JOCASSEE LAKE TOUR TODAY! April 24: 10:00--2:00 PM Book Now! April 27: 10:00--2:00 PM Book Now! April 28: 10:00--2:00 PM Book Now! April 28: 2:30--5:30 PM Book Now! Originally a military compound and later a trading post, this Historic Site offers both recreational opportunities and a unique look at 18th and 19th century South Carolina. Oconee Station - a stone blockhouse used as an outpost by the S.C. State Militia from about 1792 to 1799 - and the William Richards House, are the only two structures that remain today. 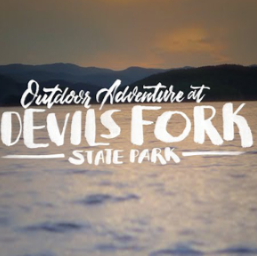 Start your weekend by trying out a kayak or stand up paddleboard on peaceful Lake Oolenoy at Table Rock State Park. 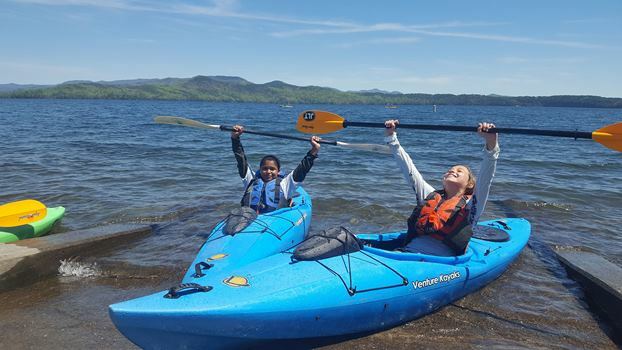 Learn basic paddling techniques, improve your balance, and try out a variety of boats during this program. 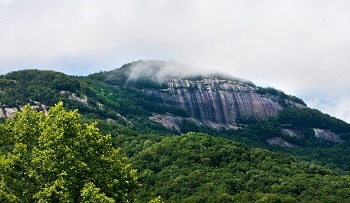 Be an extra early riser and take a unique moonlit hike up to the end of Table Rock Mountain. After experiencing the nocturnal aspects of the forest, we will enjoy the pre-dawn sky from the outcrop as we anticipate the beauty of a new sunrise. BYOT (bring your own thermos) - there is no coffee shop at the top! MEETUP EVENTS: WHAT IS A MEETUP? Kayakers are needed as safety boats for the Oconee Man/Oconee Woman Triathlon. The 1.2 mile swim portion of the event begins at South Cove County Park on Lake Keowee, and kayakers will be positioned along the course to provide alert eyes and ears for swimmers who might need assistance. There will also be lifeguards and rafts with emergency medical personnel. This event will be open to the public and all are welcome. The address is 1391 F. Van Clayton Memorial Highway, Sunset, SC 29685. 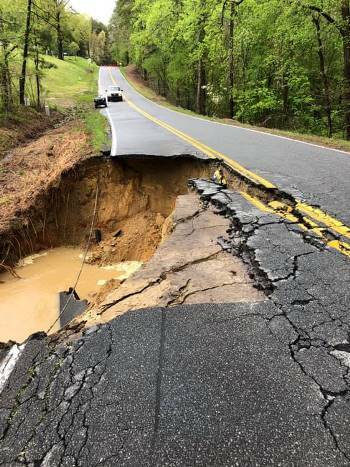 Parking will be very limited at the top of the mountain. We will provide a shuttle service from a parking area near the mountain. There will be signs to the parking area. We hope you can join us. 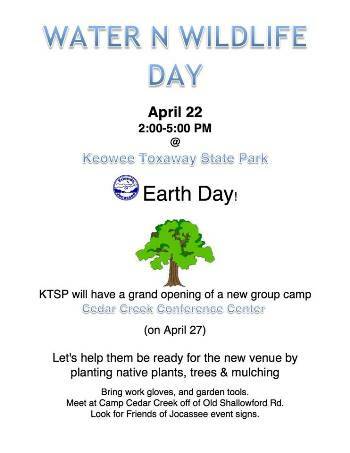 Bring your work gloves, garden tools and a friend as we help KTSP get ready for the grand opening of the new Cedar Creek Conference Center on April 27. What better way to celebrate Earth Day and help prep this new venue than by planting native trees & plants, mulching the newly planted areas and getting rid of the invasive species! The kids will be in charge during this fun, kid-directed exploration of the park. With guidance from our educator, the kids will get to choose where we go, what activities we do and what we learn about. General maintenance on a section of the Foothills Trail. With the help of many individual leaders, we will cover as much of Greenville County as possible. 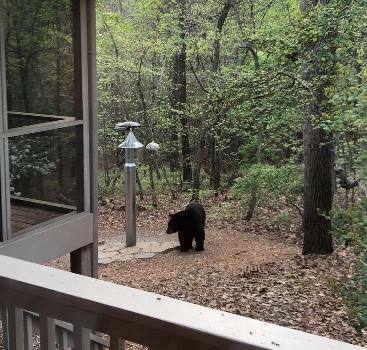 Reports are also encouraged from back-yard birders within the county. Previous counts have resulted in well over 100 species. Led by Gary Kauffman, USFS botanist and ecologist, this annual rite of spring always has an enormous display of wildflowers that are easily photographed. 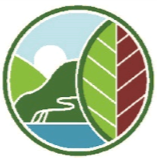 Celebrate Earth Day at the Bob Campbell Geology Museum! Kid friendly and adult themed fun! Bigger and better than last year! 20+ Clemson University, local and state organizations, activities, great food, craft beers, local wine, and live music! FREE ADMISSION! In this field identification course, learn about the foliage and flowers of primarily herbaceous plants, although some shrubs will surely sneak in. Join Allison Kelly, Natural Heritage Trail Manager to explore the many habitats along the Natural Heritage Trail. Learn how to use a key to aid plant identification. Elementary students ages 6-12 will learn about the animals and plants who call this State home, and the landscapes that define South Carolina. THE FLUTE PLAYER RETURNS. 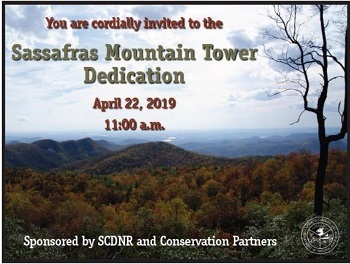 There is a springtime sound in the forest around Lake Jocassee that is like no other. When you first hear it you’ll think a wandering minstrel is practicing his flute far off in the woods. Or perhaps it’s a piccolo. Come over to the woods behind the parking lot for the day use area at Devils Fork State Park soon, some morning early. 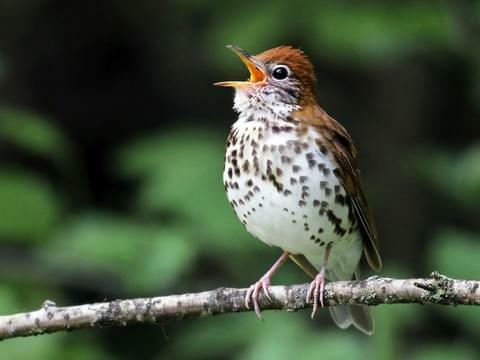 You’ll likely hear the song of the Wood thrush. The sound fills the surrounding woods. Bring your troubles with you, your woes. They’ll ride away on the music, as it drifts through the forest. Listen to the wood thrush here! LOON REPORT. Waves of loons have been landing on the lake, preceding all the April spring storms that have been roaring through. This is the unknown, unstudied part of the life cycle of the common loon. There is so much to be learned here. A research project for next April is in the works. Stay tuned! BLOOM REPORT. Showy flowers and subtle flowers abound. 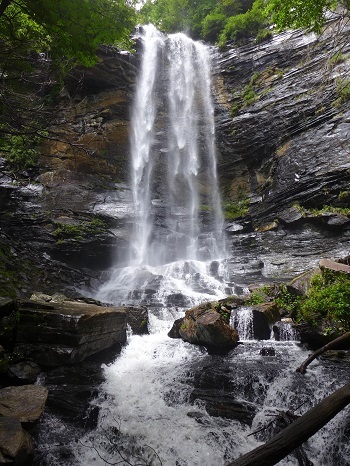 Look for Fraser magnolia trees with creamy white (magnolia-like) flowers all along the edge of the lake, dogwoods shining bright white throughout the woods, saxifrage blooming both on cliff faces and in waterfalls, Gorges rhododendron just beginning to bloom up the Whitewater arm, and much, much more! Spring Break Kayak Camp taught these kids some mad kayak skills! The Wood Thrush is a consummate songster and it can sing “internal duets” with itself. In the final trilling phrase of its three-part song, it sings pairs of notes simultaneously, one in each branch of its y-shaped syrinx, or voicebox. The two parts harmonize with each other to produce a haunting, ventriloquial sound. Spanning three states (North Carolina, South Carolina and Georgia) and encompassing 859,000 acres, the Southern Blue Ridge Escarpment, known as the 'Blue Wall' by Native Americans, contains some of the highest natural diversity of rare plants and animals found anywhere in the world. PLEASE CALL 864-280-5501 AT LEAST 24 HOURS IN ADVANCE TO RESERVE YOUR SEATS! Love Jocassee? 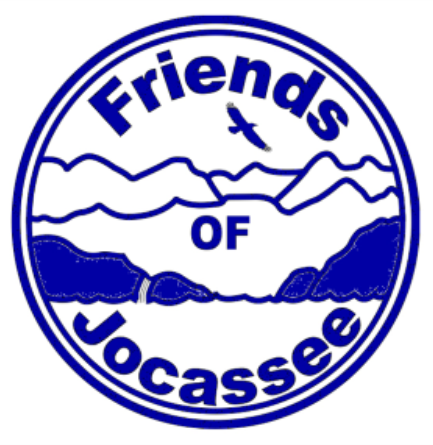 Help protect and preserve the beauty of Lake Jocassee and the Jocassee Gorges by joining FOJ!